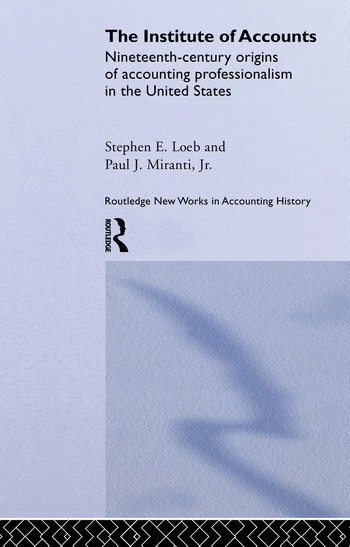 This book focuses upon the Institute of Accounts (IA), an organization to which the modern United States accounting profession can trace its roots. The IA was organized in the early 1880s in New York City and, as discussed in this book, attracted a diverse membership that included some of the leading accounting thinkers of the period. The Institute of Accounts describes the association's early development, its usefulness to the needs of bookkeepers and accountants in the late nineteenth century, and its historical importance. Paul J. Miranti Jr. is a professor in the Department of Accounting and Information Systems and was formerly associate dean of faculty and research at Rutgers Business School.